As the summer months passes by and about to come to an end, many of us have enjoyed the summer time and the wonderful weather outdoors. Whether we took nice strolls down the beach, went on family camping trips in the mountains, or went fishing with our friends on a lake, we were reminded how beautiful our nature is. 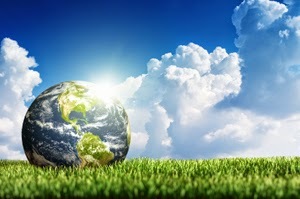 More importantly, how important it is for us to conserve our environment. In terms of environmental stewardship, there is a hierarchy of preferred practices: Reduce, Reuse, and Recycle. From first to last in this list, the greatest benefit to our limited resources and environment can be found. Of course, this means the best way to become an environmental guru is to reduce usage. In terms of toner cartridges, the ultimate environmentally friendly solution is to cut down on the number of pages printed. This saves the most money, the most resources, and has zero land fill waste impact. To reduce usage is the best option, but there are times when printing is simply needed. In fact, statistics suggest that the amount of pages printed each year continues to increase, which comes as a major surprise in this increasingly digital world. Since we are not reducing usage as expected, it is becoming paramount that we explore the latter two options in the hierarchy, to reuse and recycle when it comes to printing. By recycling the parts of the original cartridge and reuse the treated parts in remanufacturing, we are contributing to environmental stewardship while enjoy the cost savings. 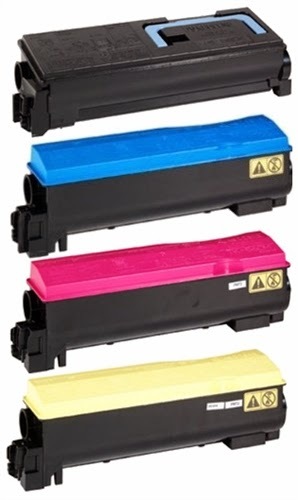 (1) Resource Conservation: A typical used toner cartridge consists of 40% plastic and 40% metal with the remaining 20% made up of foam, rubber, and left over toner. Over 90% of these materials are treated and then reused in a remanufactured cartridge. (2) Energy Conservation: The energy equivalent of 3 quarts of oil is consumed in the manufacturing of a new cartridge. While there is energy consumed in the transportation of empty cartridges, it is far less than what is used to make a new cartridge. (3) Monetary Cost Savings: Remanufactured cartridges are less costly than newly manufactured cartridges, offering a savings to consumers of up to 75% less than the cost of new. Printer manufacturers are known to charge very high prices for new cartridges. (4) Reduce Landfill Needs: Whenever a cartridge is remanufactured or recycled (after the cartridge is beyond useful life for remanufacturing), there is a reduction in the demand for land fill space. The plastic in a toner cartridge takes at least 1,000 years to decompose in the landfill. Most of us already use recycle paper to conserve our trees. However, over 75% of the printers still use newly manufactured toner cartridges to print instead of recycling and reusing the cartridges. While recycled papers are widely accepted, one issue with using recycle toners is concerns for print quality. In addition, campaigns by printer manufacturers that postulate that all aftermarket toners are dangerous to printer machines. When a toner cartridge is carefully remanufactured with all the parts properly treated, the risks of the two aforementioned concerns are essentially close to zero. At Toner Spot, our production lines follow rigorous processes to carefully select quality recyclable gears and carefully treat all the selected parts to ensure high quality performance after the cartridge is remanufactured. 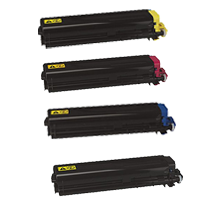 Additionally, all the remanufactured toner cartridges undergo various tests to ensure the high quality standards. We are so confident in our products that all of our remanufactured toner and ink cartridges come with a one year satisfaction guarantee. We would love to invite you to visit our website at www.toner-spot.com with our currently promotion of 10% off of your entire purchase with the coupon code GREEN10. All shipping is free when the purchase is over $75 in total.